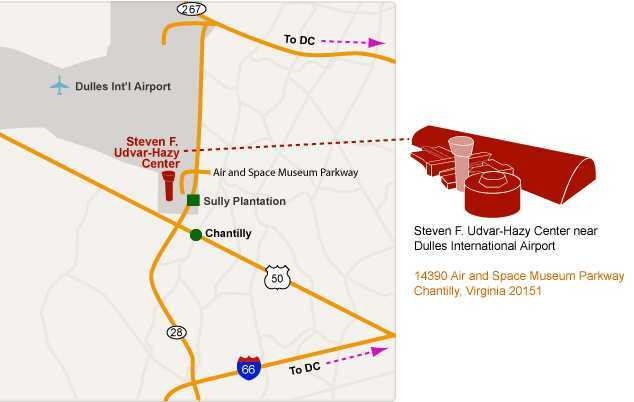 Smithsonian Institution National Air and Space, Steven F. Udvar-Hazy Center located adjacent to Dulles Airport. A view of the control control exhibit center. The balcony walk ways are an excellent way to view the various aircraft from many perspectives. Looking down at the flight simulator ride.